In this scene the Sidney gets an 8 inch 4 jaw chuck. It's a cast iron chuck that we had laying around the shop, and with the addition of the Sidney lathe it made some sense to mount it. After all a chuck on the shelf will never be used, and one mounted up for use may be used. 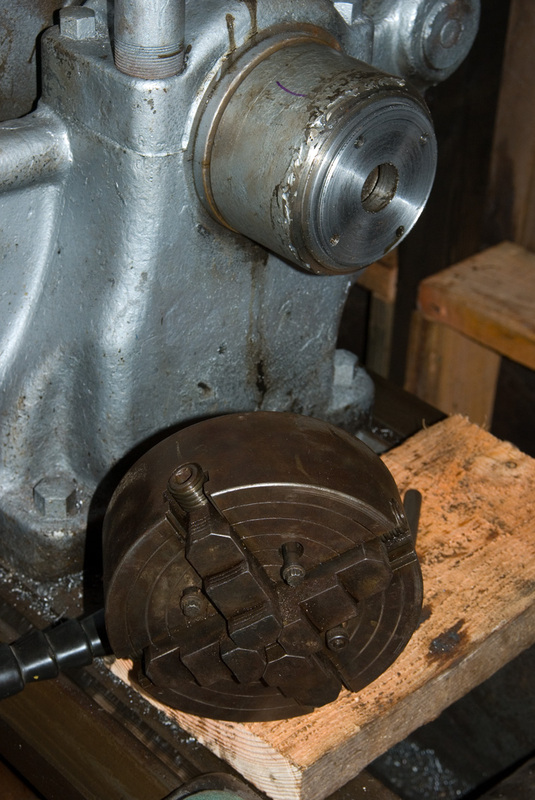 the chuck was a 'flat back' with a bore of around 4 inches for the 'backing plate', and was intended to be secured with 4 ea. 3/8'th bolts extending through the chuck body from the front. The bolt circle was about the same as the thread circle of the Sidney spindle making for some complexity of the mount. I could have made the mount all in one piece, but this would have required digging a blind hole and threading for the spindle in a blind hole. Instead, I bored and threaded for the spindle 'all the way through, and then welded a plate on the front of the spindle collar. This plate was then turned to match the bore of the 'flat back' of the chuck and finally was drilled and tapped for the necessary mounting bolts. The crucial thing in making chuck mounts is that the final machining should be done on the target lathe. This way the mount is true to the lathe on which it is to be used. The standard thread mounts are pretty easy to make tooling for. 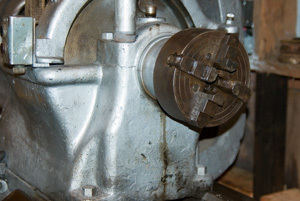 On the Sidney and most thread mount lathes the threads only serve to hold the chuck against a shoulder on the spindle at the back of the threads. However, there are a few lathes (Pratt& Whitney comes to mind) in which instead of a shoulder at the back, there is a taper, so to make a proper 'back plate' for those lathes you have to not only thread the plate, but then match the taper which will do the seating. 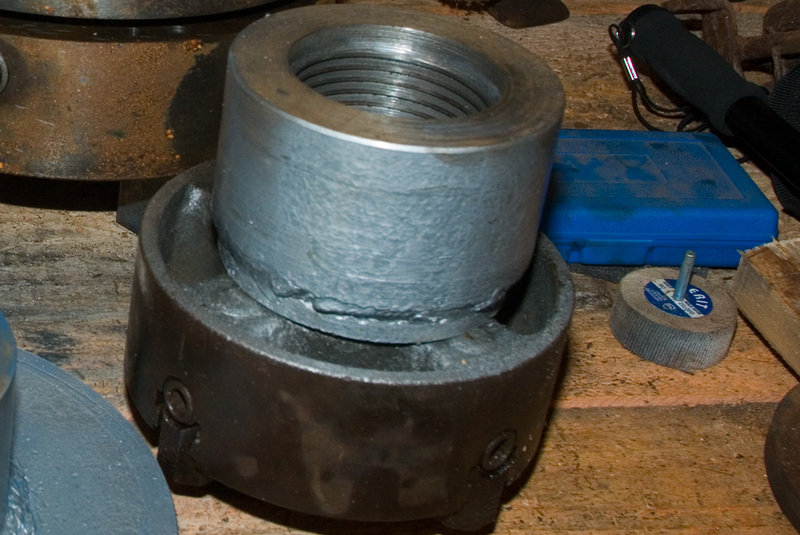 There were many years of total chaos in spindle mounts. Fortunately in the last 40 years the mounts have largely standardized.